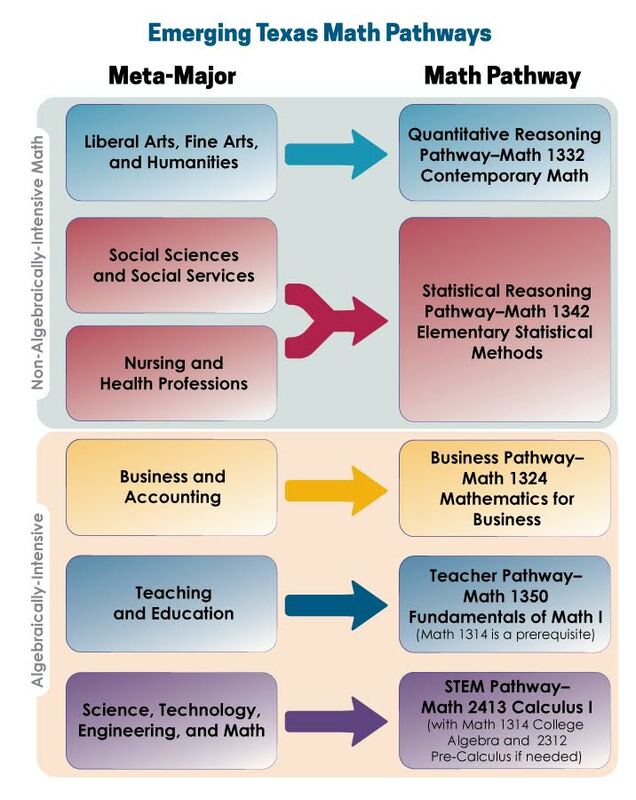 Establishing a system of math pathways at scale requires collaboration across disciplines. Mathematics faculty must actively and collaboratively engage faculty in partner disciplines to ensure that mathematics courses are designed to prepare students for programs of study, careers, and citizenship. Partner disciplines should be given direct input in defining default mathematics requirements for programs of study aligned to the program learning outcomes. The sections below offer resources for collaborators in partner disciplines to consider as they remove barriers to student success and design strategies to increase productivity and reduce costs to students, institutions, and taxpayers alike. Faculty from partner disciplines play an essential role in aligning math pathways to programs of study. Students benefit from clear, explicit recommendations for the preferred mathematics requirement. Within an institution, math faculty work with faculty from partner disciplines to identify the mathematical needs of programs and design gateway courses to meet those needs. This work extends across institutions as faculty collaborate to establish common mathematics requirements that ensure students are able to apply math credits to degree programs when they transfer. Higher education has long operated on the assumption that students are best served by having the freedom to choose from a wide variety of options. However, growing evidence indicates that students benefit from a more structured experience with a small number of clearly defined choices. Many colleges and universities have begun implementing guided pathways and defining default entry–level mathematics requirements aligned with broad program clusters. One of the tenets of guided pathways is that faculty should identify the most appropriate courses to meet general education requirements for programs of study. Often non–algebraically intensive majors default students into a number of different mathematics courses, such as statistics, modeling, and quantitative reasoning. The consensus recommendation of all 17 professional societies of mathematics, as represented by the Conference Board of the Mathematical Sciences, is that College Algebra should only be required for programs that require Calculus.